Cramer & Anderson Partner Daniel E. Casagrande argued before the Connecticut Supreme Court Sept. 18 in a complex antitrust case centered on a Danbury real estate deal. The case, dating to summer 2013, began as a breach of contract claim against Windemere Reserve LLC and BLT Reserve LLC filed in Superior Court by Attorney Casagrande on behalf of his client, Reserve Realty, LLC. Windemere and BLT purchased two large vacant parcels formerly part of the Union Carbide complex in western Danbury, and granted Reserve Realty and other affiliated brokers (“Reserve Realty”) the exclusive right to sell and/or lease the parcels, according to a Connecticut Appellate Court summary of the case. Attorney Casagrande, assisted by Associate Lisa Rivas, argued that Windemere and BLT committed breach of contract because exclusive brokerage rights for the properties had earlier and permanently been granted to Reserve Realty. On behalf of Reserve Realty, Attorney Casagrande appealed to Connecticut Appellate Court, which in July 2017 affirmed the trial court’s decision, concluding the agreements on which the plaintiffs’ claims for brokerage fees were based represented a tying arrangement that violated the Connecticut Antitrust Act. Attorney Casagrande then sought and won the right to take the case to the Connecticut Supreme Court, specifically on the issue of antitrust and the question of whether the Appellate Court, in making its decision, improperly relied on a 1980 decision by the Connecticut Supreme Court, State v. Hossan-Maxwell, Inc. He presented his argument to the seven Supreme Court justices on Sept. 18. The argument is that Hossan has been abrogated by later federal court antitrust decisions which Connecticut courts are required to follow. Attorney Casagrande claims that these later cases include the requirement to plead and prove a specific real estate market for the property in question as part of any litmus test for antitrust considerations. 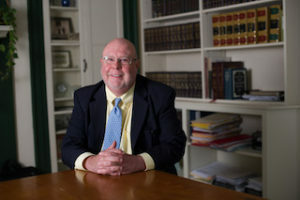 If the state Supreme Court sides with Attorney Casagrande, its decision would overturn decades-old precedent and create a new body of jurisprudence on tying agreements—while also, as Attorney Casagrande contends, providing an important validation of the sanctity of contracts and new guidance to real estate brokers and developers in Connecticut. In another current high-profile case, Attorney Casagrande filed a brief in New Britain Superior Court Aug. 9 alleging a long list of errors committed by the Connecticut Siting Council in allowing plans to proceed for what would be one of the state’s largest solar power farms. In March of this year, the Connecticut Law Tribune (CLT) announced Attorney Casagrande as the winner of its Giant Slayer award as part of the statewide Professional Excellence Awards. The award was based on results he achieved in a number of notable cases, including tax appeals involving the Millstone Nuclear Power Station and Union Carbide’s world headquarters. Based in Cramer & Anderson’s Danbury office, Attorney Casagrande’s practice focuses on Municipal Law, Planning & Zoning Land Use, and Land Use & Environmental Law. He may be reached by email at dcasagrande@crameranderson.com or by phone at (203) 744-1234.